The Public Speaking Workshop NYC was amazing! It doesn’t matter if you struggle with public speaking or not. There is ALWAYS something to learn, something that you weren’t aware you were doing or that can be improved. Herman can detect within a few sentences of you speaking what you need to work on! I highly recommend it to EVERYONE. What is the public speaking workshop NYC about? 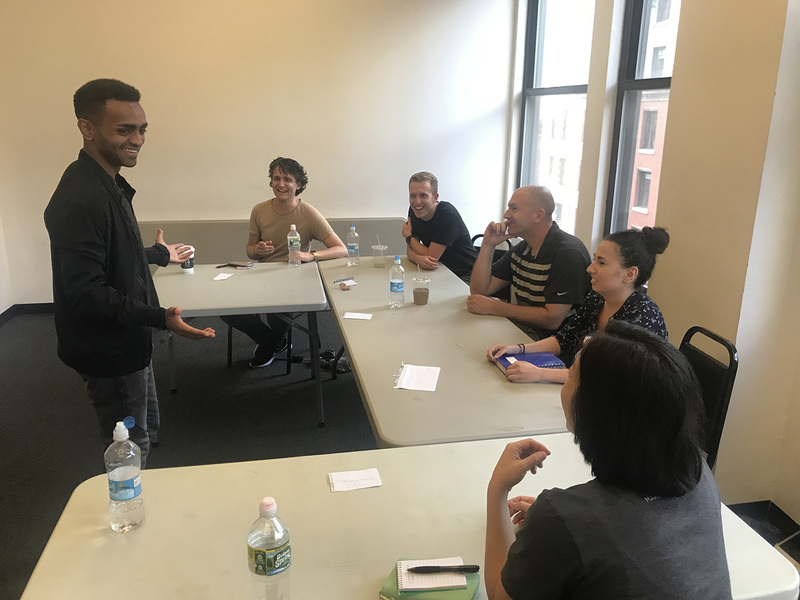 In the public speaking workshop NYC, Herman will train you how to speak in front of a group without thinking about what you have to say next. You will improve your posture and overall image when speaking in front of a group. During the public speaking workshop NYC, Herman will teach each individual how to give a presentation without too much preparation. This is done in an informal manner so that everyone can learn at his or her own pace and in an safe environment. So what happens when you sometimes forget what to say? Why do some speakers perform so naturally and other don’t? And can everyone learn this? Spoiler alert: They can! In Herman’s public speaking course NYC, all these topics will be discussed and more. There will be looked at what you need to speak fearlessly in front of any group. Please continue reading if you want to get over fear of public speaking once and for all. In the public speaking workshop NYC you’ll discover your inner genius by speaking through your unfiltered imagination. When you tap into your unfiltered imagination you can speak in front of a group like you never did before. You’ll never run out of things to say without any prior preparation. In the public speaking workshop NYC, Herman will guide you through the process of tapping into this hidden gem that everyone possesses. You’ll be shocked how fast this can happen. Furthermore, during the public speaking workshop NYC you’ll discover what it is that makes you tick when speaking in front of a group. As Nietzsche famously said, when you find your why, you can bear almost any how. In the public speaking workshop NYC we’ll find your why and how you can use it to its maximum potential. At the end of any public speaking workshop NYC everyone gets assignments they can take home with them. We do this so that even after the public speaking workshop NYC you can practice on your own accord. Because practice makes perfect! Last night I attended this awesome public speaking workshop NYC intro and it changed my life. Herman’s instructions and guidance turned my fear around in 2 hours. I can’t wait to use my new tools the next time I have to speak in front of people! I would absolutely recommend his class. I’m planning to do a full day seminar with him! Thank you Herman! Is the public speaking workshop NYC for you? 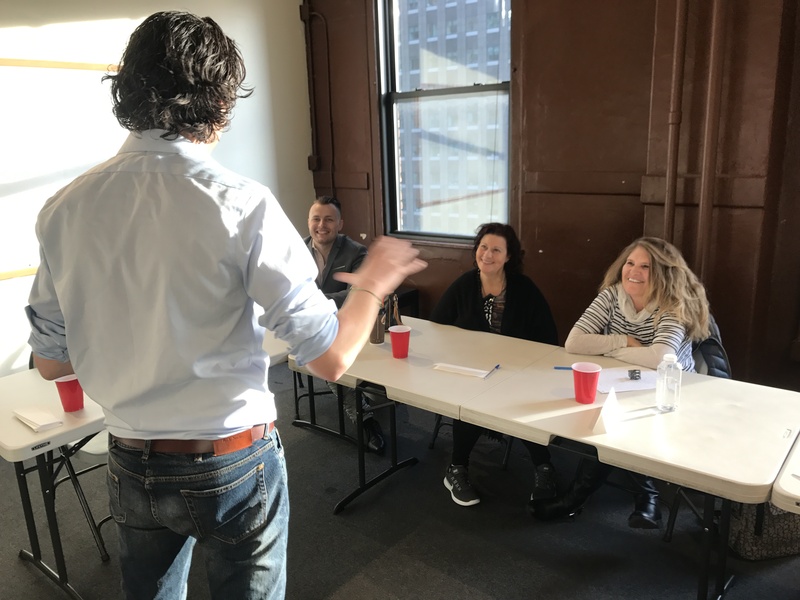 The public speaking workshop NYC is for you if you want to get over your fear of speaking in front of groups once and for all. The public speaking workshop NYC is also for if you want to build on your current skills and improve them even further. Starting your public speaking journey or getting more practice are a vital part of your progress into becoming the public speaker you were meant to be. The public speaking workshop NYC will be given by Herman Otten. Herman graduated as an actor at the Utrecht school of arts. After having completed his studies Herman proceeded to direct and act on Dutch television. Now Herman is widely known for helping people from every walk of life to get over their fear of public speaking. Currently Herman has over 10 years of experience under his belt as a coach and teacher. 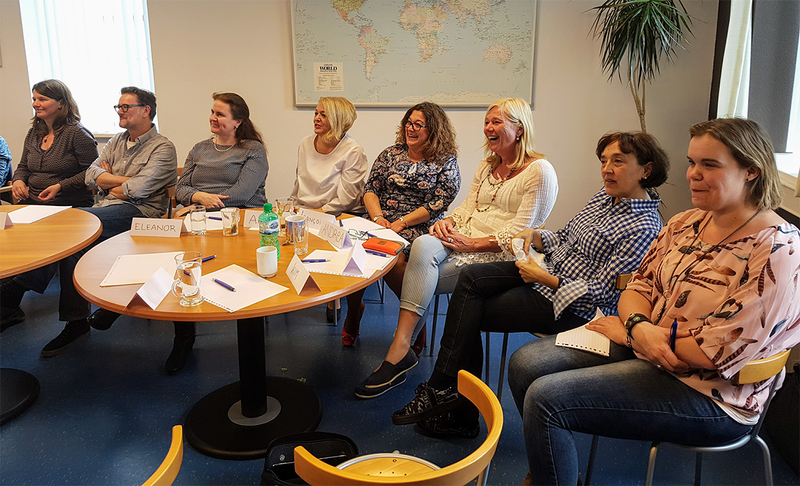 To date Herman teaches public speaking workshops all throughout the Netherlands and in NYC! Read more about Herman here. The public speaking workshop NYC takes 1 day from 11 AM until 6 PM. During the day we’ll have two coffee breaks of 10 minutes and a longer pause of one hour in which we can eat lunch together somewhere near the Magnet Theater Training Center. Does everyone get the attention he or she needs? Most definitely. We will work in a small group with a maximum of 6 people. This ensures that everyone gets enough personal attention. In the heart of Manhattan, New York City in the Magnet Theater and Training Center. Your investment for the the Public Speaking Class is 297 USD. This includes a one day training, lunch, water and cookies. APPLY AND RESERVE YOURSELF A SPOT! Don't use Paypal? Pay with credit or debit card later in the payment process. "Herman is a nice person and a good teacher. His classes have all ingredients needed. Definitely recommended."